Following a series of weather problems and technical glitches that prompted repeated delays, a giant rocket carrying a spy satellite launched Saturday from Vandenberg Air Force Base near Santa Barbara. 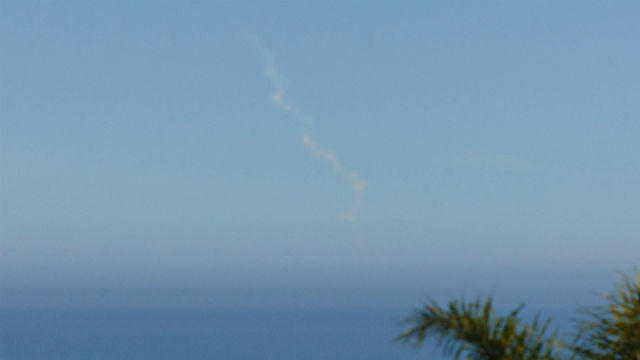 The rocket’s vapor trail could be seen from the San Diego coast, but because the launch came in daylight, there was no light show. The United Launch Alliance Delta IV Heavy rocket lifted off at 11:10 a.m. on the secret NROL-71 mission for the National Reconnaissance Office. The company concluded live coverage eight minutes into the flight after announcing successful ignition of the second stage. The launch was delayed at least five times previously, with the last attempt on Dec. 20. Previous launches were pushed back due to issues including high winds and a hydrogen leak. On Dec. 8, the planned launch was scrubbed just 7.5 seconds before liftoff due to a technical glitch. The Delta IV Heavy is the second largest rocket in the world after the SpaceX Falcon Heavy.